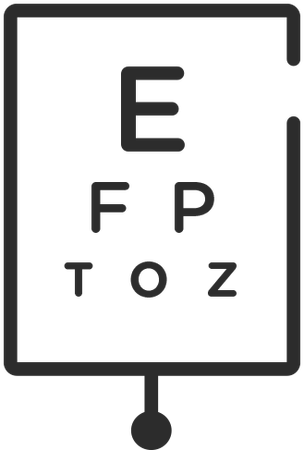 Dr. Pooja Patel is the local eye doctor to see for all of your Optometry needs in Pasadena, CA. From contact lens examinations to contact lens fittings to general eye care, Dr. Pooja Patel will help diagnose, treat, and assess your overall health—and how it affects your eyes. Busy? We offer online, walk-in, and same day exams to fit your schedule. Dr. Pooja Patel also accepts many insurance carriers and discount plans. Come visit our office at 3121 E Colorado Blvd and schedule an eye exam today! Dr. Pooja Patel was born and raised in London, England. She moved to Southern California with her family before entering high school. Upon graduating high school Dr. Patel attended the University of California San Diego, and then went on to attend the New England College of Optometry for her optometric education. Dr. Patel is committed to providing the highest quality eye care to her patients. She takes her time getting to know each patient and learning exactly what their visual needs are. To Dr. Patel patient satisfaction is paramount. She works hard to stay current on the latest advances in eye care, and regularly attends continuing education seminars. As a result, her practice features state-of-the-art-technologies, such as Optomap Ultra-wide Digital Retinal Imaging. Outside of the office Dr. Patel is committed to spending time with her family. She is currently enjoying learning the ins and outs of becoming a new mother. She also enjoys reading , travelling and watching movies. She loves meeting and connecting with people and looks forward to providing you and family with the best vision care solutions for your needs.